SAN FRANCISCO -- Low gasoline prices may have many Americans looking for trucks and crossovers, but that was no problem in November for Hyundai and Kia, which reported U.S. sales gains thanks to small cars such as the Hyundai Elantra and Kia Soul. Hyundai today reported selling 60,007 vehicles last month, up 12 percent, for its best-ever November. Sales of Hyundai’s three smallest cars -- the subcompact Accent, compact Elantra and sporty Veloster hatchback -- rose a combined 32 percent while sales of the Tucson compact crossover, redesigned this year, rose 90 percent to 6,906 units. Kia said today it sold 45,553 vehicles in November, up 1 percent, as it ran a “Holidays on Us” promotion offering interest-free loans, discounts of up to $1,000 and no payments for five months. The brand reported a 10 percent sales bump for the subcompact Soul and a 29 percent boost for the Sportage compact crossover, compensating for a 37 percent drop in sales of the Sedona minivan, which was not eligible for the promotion. November’s healthy results suggest the United States will remain a bright spot for Hyundai Motor Group as it deals with a slump in China. Earlier this year the Korean automaker, ranked third in China market share behind Volkswagen Group and General Motors, lost ground to homegrown rivals, prompting changes in strategy. Hyundai sales increased 6 percent in the U.S. through the first 11 months of the year while Kia sales rose 7 percent. Yet worldwide, the group is expected to fall short of its goal of increasing deliveries 2 percent to 8.2 million vehicles in 2015. 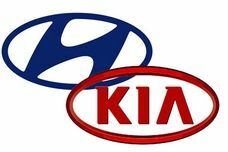 Later this month, the Yonhap news agency of South Korea reported today that group Chairman Chung Mong-koo will gather 60 national Hyundai and Kia sales heads in Seoul to push for more effective marketing and new investments in the brands.